Voice of the younger: "I wish my mother understood that there are only 24 hours in my day." Voice of the older: "I don't want to be a burden to my family." 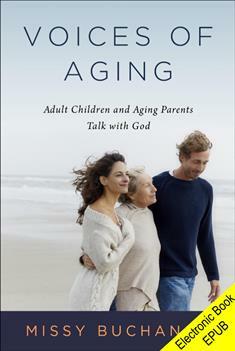 Missy Buchanan offers a compassionate look at adult children and their parents as they face the fears and frustrations of aging. She invites both generations to stand in each other's shoes in a series of 20 scenarios presented as paired conversations with God. Each reading includes a scenario, scripture passage, suggestions for dealing with difficult circumstances, and a prayer. Your heart will be softened as you experience new understanding and discover ways to talk about sensitive subjects.